The girl looks up with an expression of euphoria from the enjoyment of skipping. Girl skipping is one of my 'cinderebel' sculptures, where I reverse the clich�s associated with the female physique: Girl skipping and Woman oppressed have enormous feet and large hands. 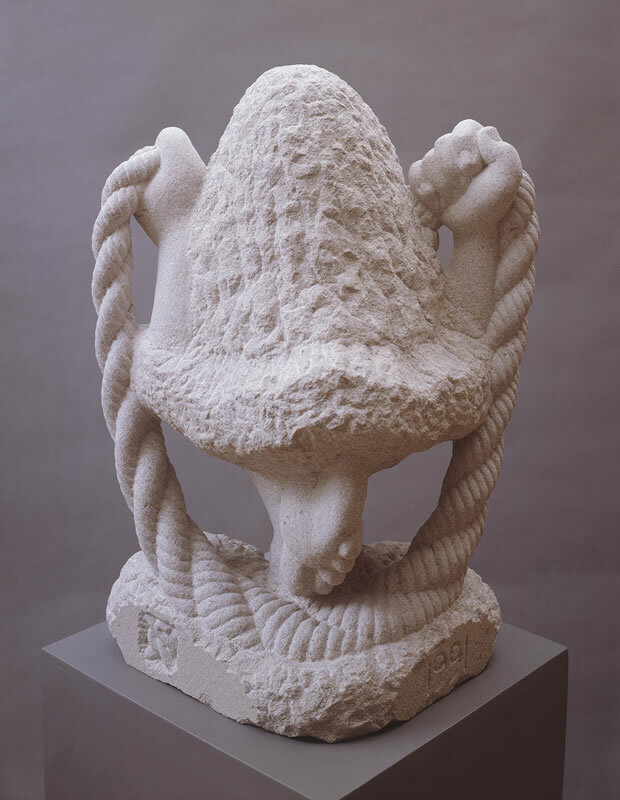 They struggle to release themselves from the stone with outward movements, looking upward positively, in contrast to the way females are usually depicted in positions of submission with head down and limbs tucked in (if they are lucky enough to be given limbs). 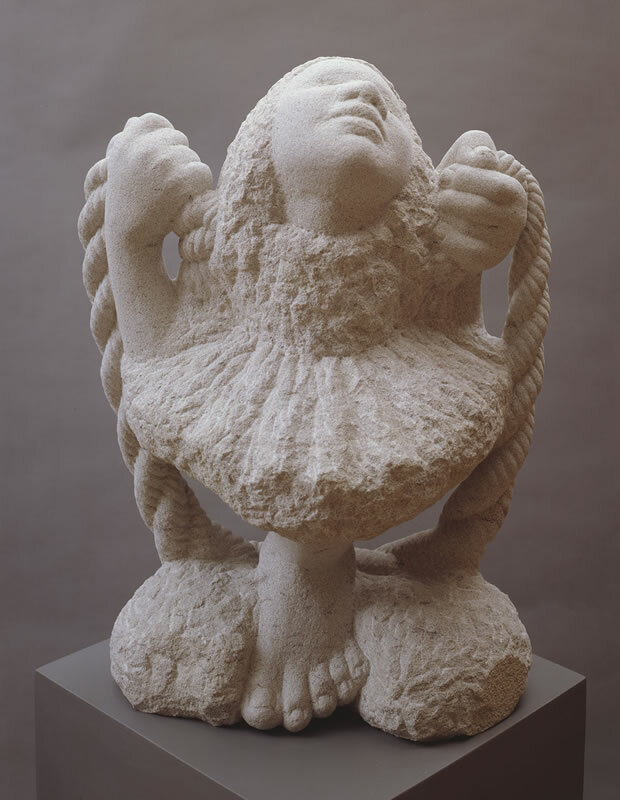 The basic shape of the sculpture is a gyroscope formed the horizontal circle at the edge of the skirt and the vertical circle made by the rope as the girl skips.